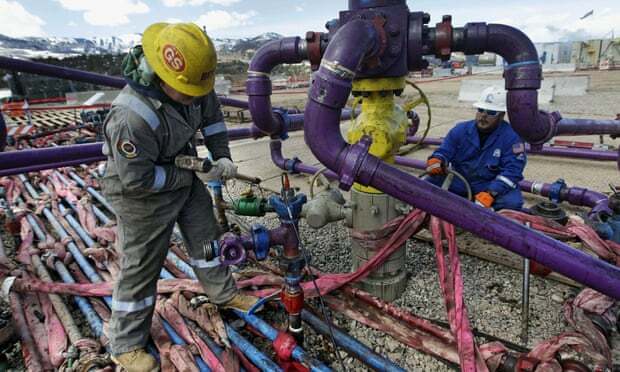 In the first significant check on the Trump administration's "energy-first" agenda, a US judge has temporarily halted hundreds of drilling projects for failing to take climate change into account. The agency "did not adequately quantify the climate change impacts of oil and gas leasing", said Rudolph Contreras, a US district judge in Washington DC, in a ruling late on Tuesday. He added that the agency "must consider the cumulative impact of GHG [greenhouse gas] emissions" generated by past, present and future BLM leases across the country. The decision is the first significant check on the climate impact of the Trump administration's "energy-first" agenda that has opened up vast swaths of public land for mining and drilling. Environmental advocates are praising the move, with Jeremy Nichols, WildEarth Guardians' Climate and Energy Program director, calling it a "triumph for our climate". "This ruling says that the entire oil & gas drilling program is off the rails, and moving forward illegally," said Nichols. The BLM did not reply to a request for comment. The Western Energy Alliance, one of the defendants in the case, also did not respond to a request. Kathleen Sgamma, its president, told the Washington Post: "This judge has ignored decades of legal precedent in this ruling. The judge is basically asking BLM to take a wild guess on how many wells will be developed on leases, prematurely." Your land is your land. As long as you don't harm anybody else, and as long as you attack the wrongdoer who limits your enjoyment of your own property as you see fit, properly in court, your land is your land - right down to the center of the earth. Harm no man/woman. Enjoy your property without forming a corporation. If you accidentally harm anyone, pay him for the harm done. If attacked, take it to court in a man-to-man jury trial in a Court of Record. This will trump even Trump.